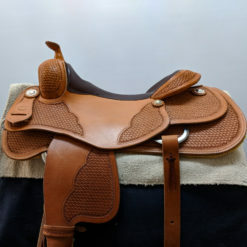 This is an older model saddle in very good condition. 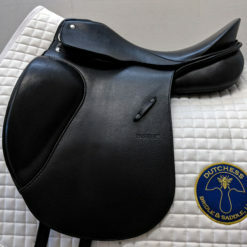 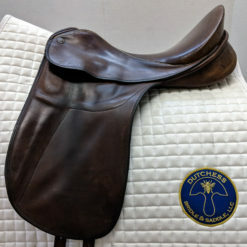 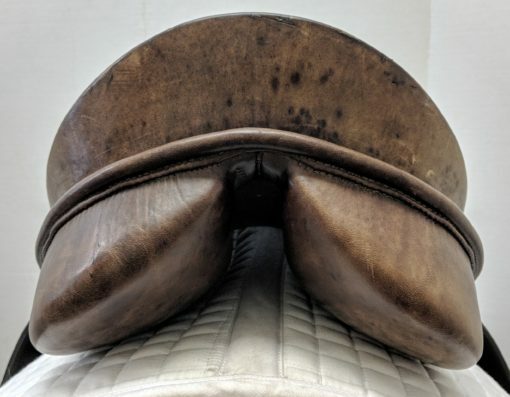 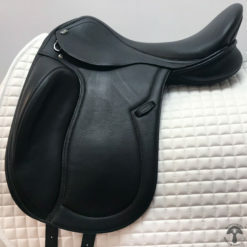 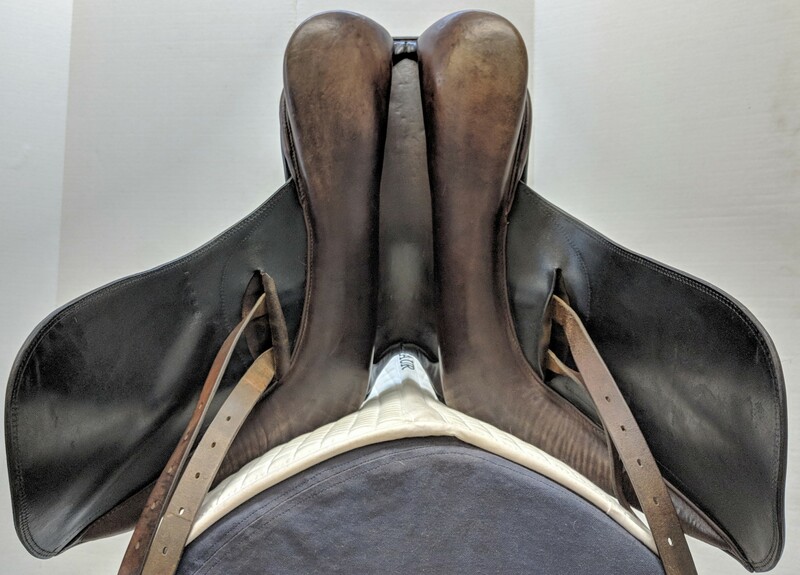 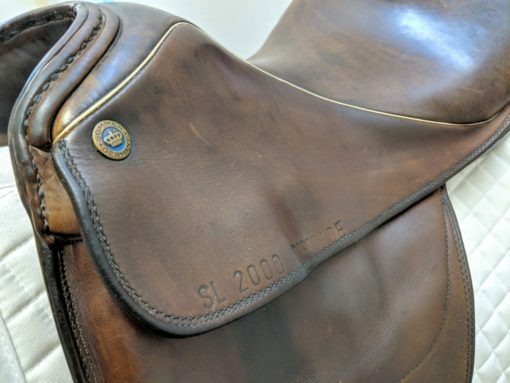 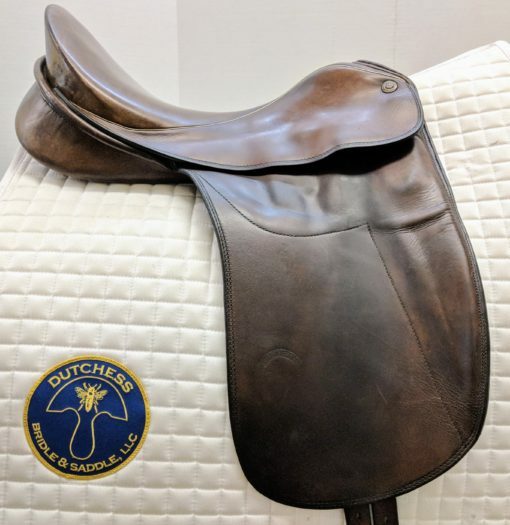 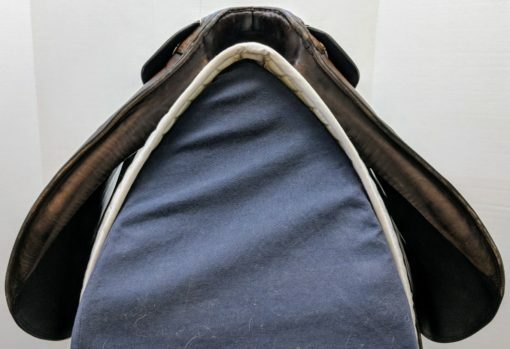 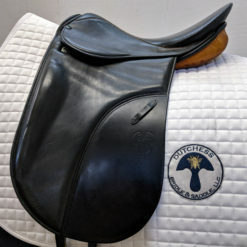 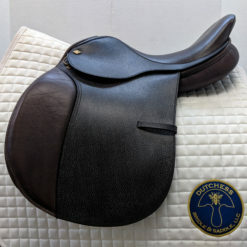 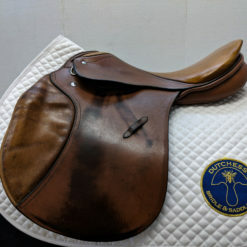 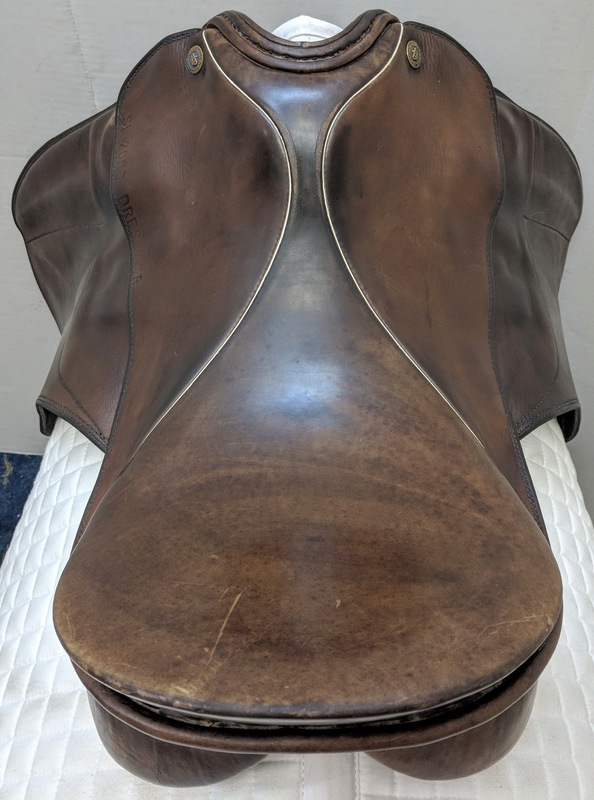 The standard Sommer leather in brown shows normal wear from regular use, as well as a few marks on the seat and cantle. 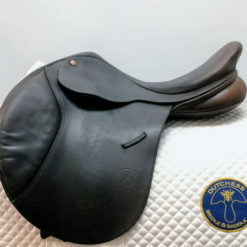 RIDER DESCRIPTION:The narrow twist and moderate width of seat make for a close ride in this deep seated saddle. The relatively straight flap will put the rider in a classically correct position. 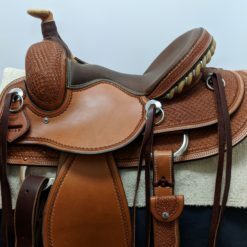 HORSE FIT DESCRIPTION:This saddle would fit a moderately wide, well muscled A-Shaped wither without hollows behind the shoulders and a somewhat downhill build.